With the 2014 FIBA World Cup fully behind us, and NBA clubs starting to firm up their pre-season schedule to allow them to hit their stride for the new campaign, it is no surprise that there is a great deal of transfer activity in and out of the NBA. Yes, the biggest deals of the summer were concluded long ago, so long that some people may have forgotten all about some of them, but there are still plenty of deals being brokered and finalised. There are plenty of players looking for new clubs, and some of these players are heading out of the NBA and out of America. 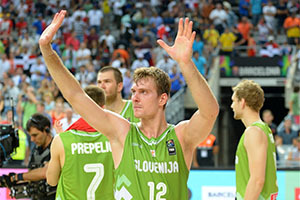 Of course, there are also players looking to head into the NBA and the transfer rumours surrounding Zoran Dragic will not go away. Zoran starred at the FIBA World Cup for Slovenia and the 25 year old is making the right noises about heading to the NBA for the new season. The player is under contract at BC Unicaja in Malaga but if a team is able to provide him with a solid contract and to negotiate his way out of Europe, he will be more than happy to head across the Atlantic and ply his trade in America. It seems as though the Phoenix Suns are the leading contender to grab him, which isn’t really a surprise, given that Goran Dragic is currently playing for the team. We’ve already spoken about the likelihood of the Suns moving for the player, and of the reason why the player would be happy to team up with his brother but it does seem as though this move is starting to come together. A number of press sources across America are tipping the deal to be concluded within a week, which is clearly a bold statement to make. It is not as if the press go back and admit to claims they get wrong but if the Dragic brothers are united in Phoenix, there will be plenty of outlets claiming that they told the story first. Will the Dragic brothers tear up the NBA? While one player is looking to make his way into America and the NBA, it seems as though there are some players who are happy to head out of America and make a living elsewhere. Given the large sums of money on offer in different leagues, it is inevitable that there will be some heads turned by what is on offer. 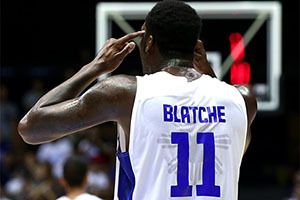 It seems as though Andray Blatche, another star of the FIBA World Cup is heading to China and there is a lot of talk that Gustavo Ayon has signed up with Real Madrid. Ayon also performed well at the FIBA World Cup and he now gets the opportunity to impress basketball fans in Spain on a more regular basis. Given that both of these players had such a strong summer, their move abroad may be classed as strange but it seems as though there was no strong interest in the NBA for these players. The fact that Ayon spent a large part of the 2013/14 season injured will no doubt have had an impact on the level of demand for him but it does seems as though the money on offer from abroad is too enticing for some players. Blatche is reportedly joining up with Jordan Crawford, a player whose foreign move we have already discussed, at the Xinjiang Flying Tigers in China and there is talk that Blatche received $2.5m dollars in signing for the team. Whether both players can be accommodated in the team remains to be seen but it should provide plenty of action and excitement for the fans. It is believed that Ayon will receive more than $6.5m for his three years in Madrid. The player turned down a $1.5m offer from China.